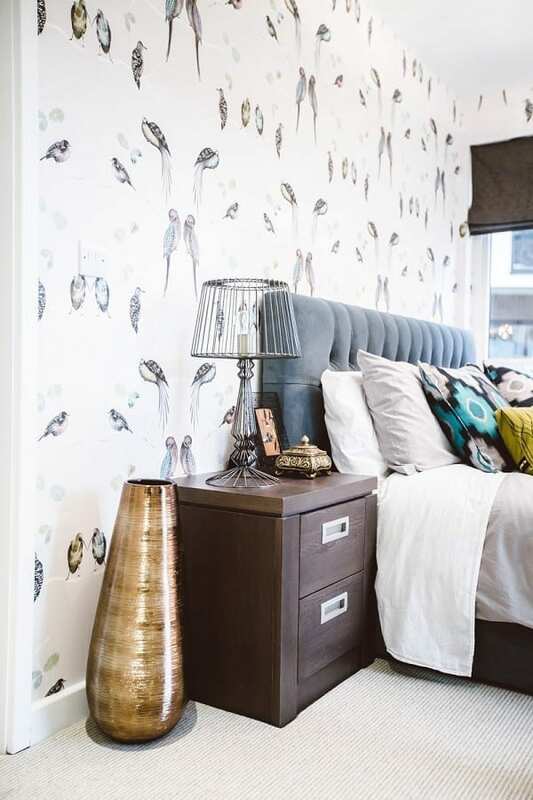 Today, I want to welcome the fabulous Antonia from Tidy Away Today, who has kindly agreed to showcase some of her favourite wallpaper of the moment. I do hope you enjoy her guest article, and do hop over to her brilliant home interiors blog which is full of down to earth family home inspiration. I’m delighted to be here at Love Chic Living, guest posting for today’s Wallpaper Wednesday feature! I really loved the tin tile effect wallpaper from Rockett St George Jen shared a few week’s ago. That industrial look is very strong in interiors right now, yet I’m also seeing plenty of feminine wallpaper designs around, too, with their own, different appeal. 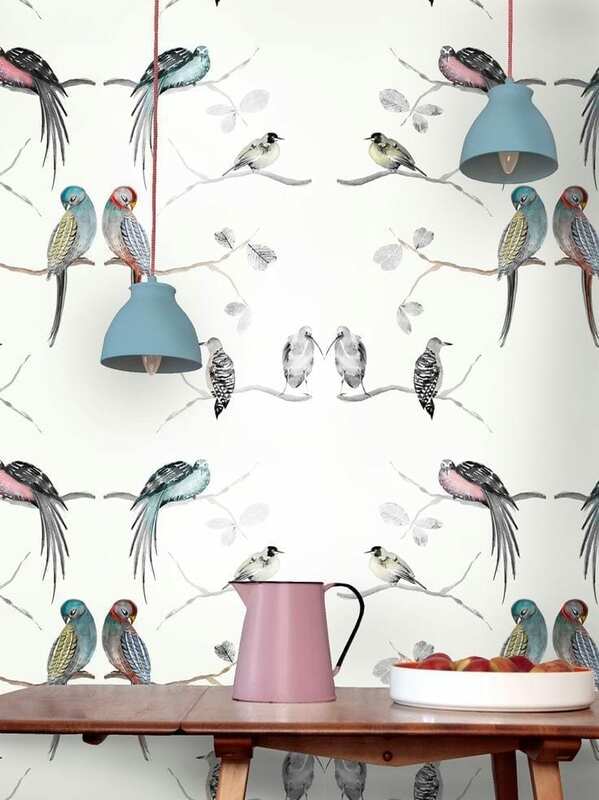 I tracked it down, it’s a Louise Body design (http://www.louisebody.com/) called Perched Birds Cream (http://www.louisebody.com/shop/Wallpaper/Collection_1/Perched_Birds_Cream ). At £155 a roll, this beautiful paper is a little pricey, but it’s so stunning that even just one roll on a feature wall would impact beautifully in a space. 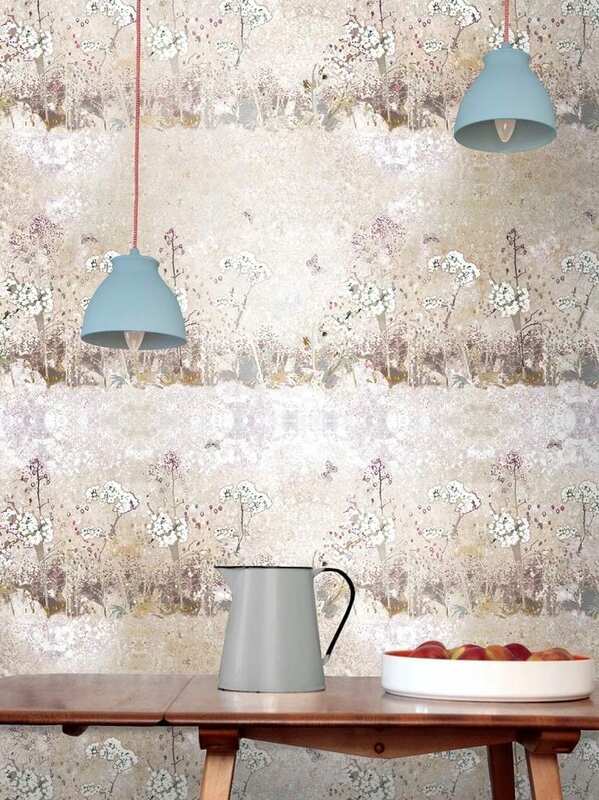 Having discovered Louise’s wonderful website, I realised she has a variety of imaginative and beautiful bird designs, plus some soft geometrics, children’s wallpaper and more besides, including this stunning wallpaper, which is based on a photo of a wall covered in lichen, with a distressed finish and the addition of Cow Parsley and butterflies – simply gorgeous! What a talent. Previous Post What Makes a Great Holiday Home? What utterly beautiful wallpaper! The detail is just lovely. The one with the birds is lovely! My kids are gonna like it for their room. Thanks for sharing! Love these wall papers! !Perfect for sprucing up an otherwise dull area. Definitely going to consider doing this in my living room!